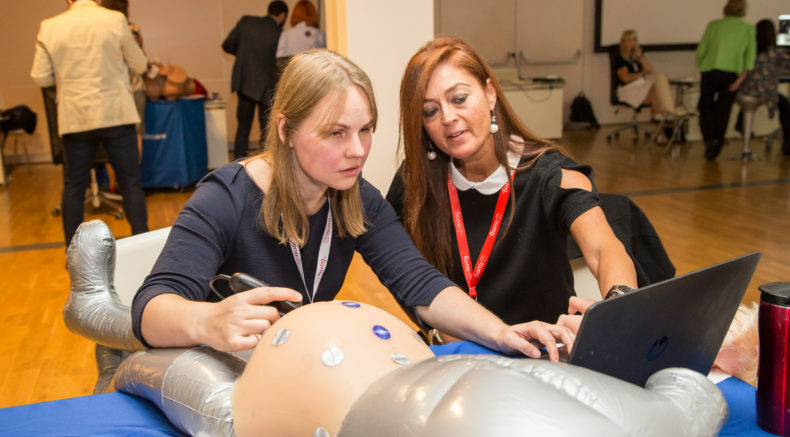 ISUOG's state-of-the art basic training program provides trainees that are new to ultrasound an introduction to essential topics in obstetrics and gynecology. Following the success of "The principles of ultrasound", ISUOG Basic Training is proud to present its second educational film, created in collaboration with Medical Aid Films. This short film shows you in simple consecutive steps how to efficiently perform an obstetric ultrasound examination in the 2nd and 3rd trimester of pregnancy. Please let us know your thoughts on this initiative by completing the audience evaluation. Welcome to the online Basic Training module, where you can view all the lectures from the full theoretical curriculum. Find out more and register for a Basic Training Course. Join us onsite or via live stream. Find out more about joining or hosting a Basic Training course via satellite livestream in your region . Learn more about Basic Training's recent work and achievements. 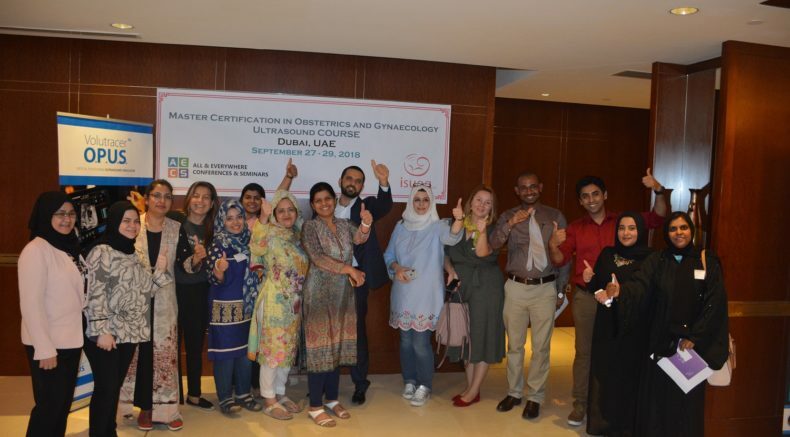 Basic Training aims to ensure that all scan providers are competent and that all women receive a high standard of gynecological and obstetric care. 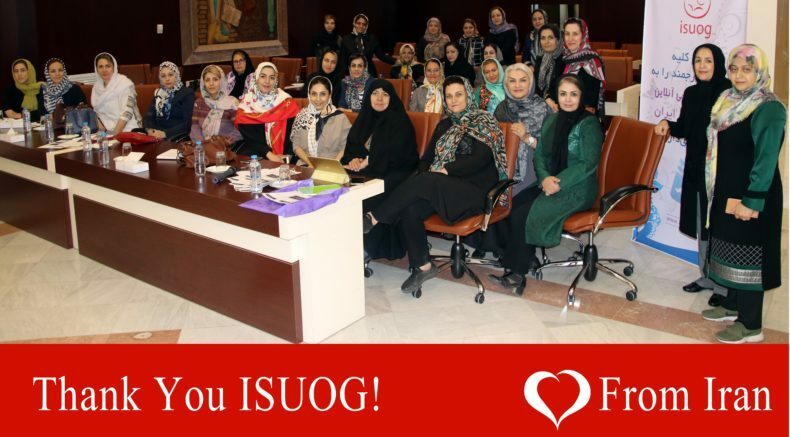 In order to achieve its mission, ISUOG is developing a full Basic Training program, including theoretical and practical assessment and certification, with our Basic Training Task Force. 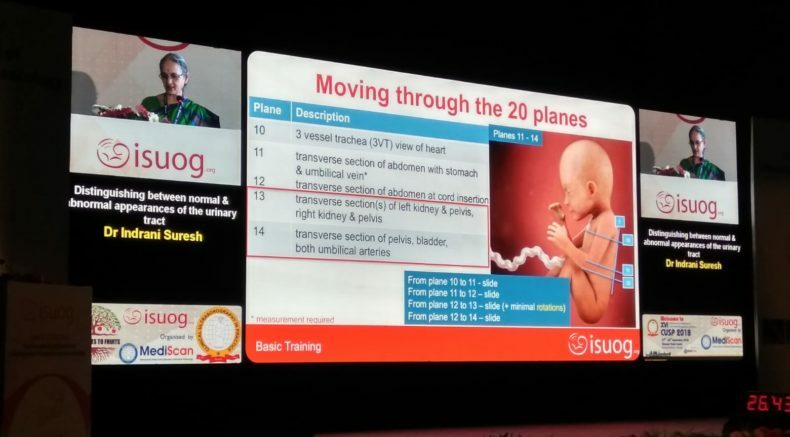 ISUOG envisions a four step model of teaching, training, assessment and certification for trainees, with its courses being delivered on-site, online and via live stream. Download the free-access ebook Ultrasound in Obstetrics & Gynecology: A Practical Approach, which presents a comprehensive review of ultrasound in obstetrics & gynecology and is available in multiple translations. Delegates attend the simulation session on day 2 of the Basic Training course at the 28th annual World Congress in Singapore. 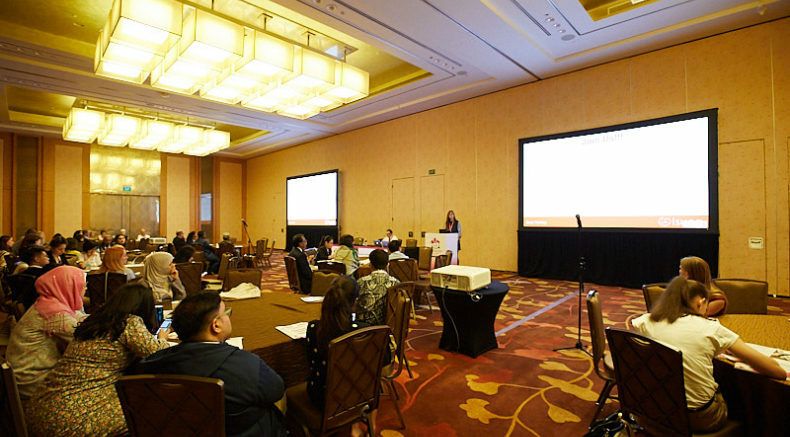 Delegates from around the world attend ISUOG's Basic Training course during the World Congress 2018 in Singapore. 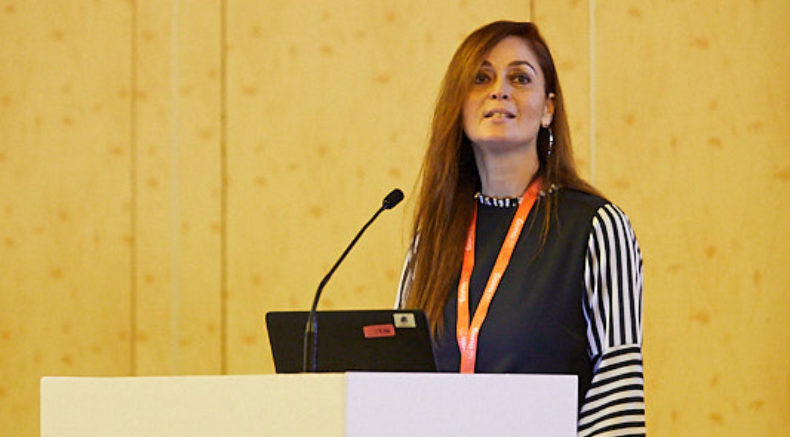 Dr Reem Abu-Rustum presents at the Basic Training course during the ISUOG's 28th World Congress in Singapore. 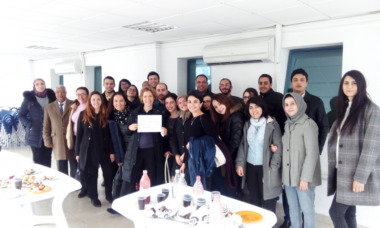 Delegates attend the first session of the year-long Basic Training program, running for the second time in Lebanon from September 2018 to July 2019 under the direction of Gihad Chalouhi, Imad Aboujaoude, and Nabil Helou. Delegates from the satellite in Mashhad, Iran, who watched the 4-day Basic Training program in Chennai via livestream - they were one of 10 satellites who attended the course, where the full BT curriculum was presented for the first time. Dr Indrani Suresh presents the lecture "Distinguishing between normal and abnormal appearances of the urinary tract" at ISUOG's Basic Training course during CUSP 2018. Over 300 delegates attended this 4-day course in person and via livestream. 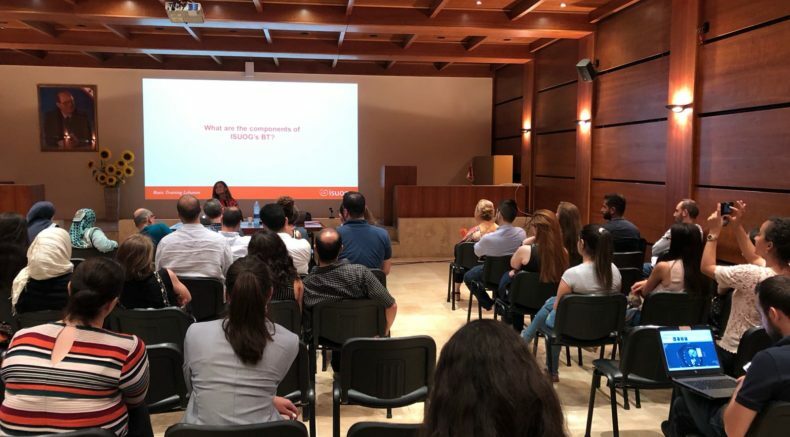 Following the success of the 2017-2018 BT program in Lebanon, ISUOG faculty hosted an information session for those interested in joining the second year-long program beginning in September 2018. 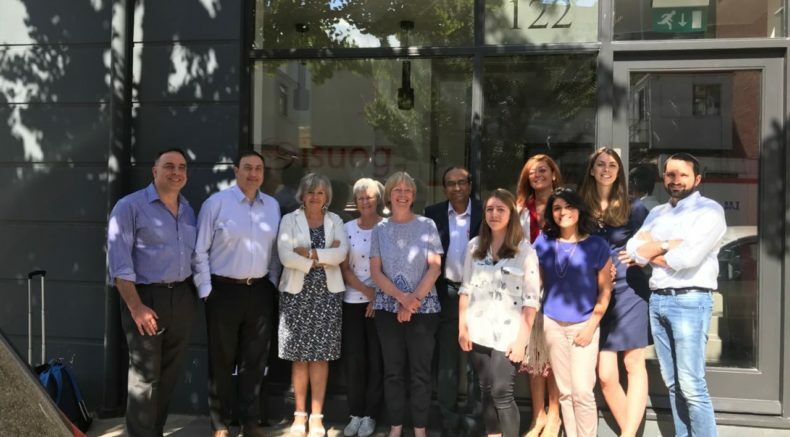 Members of ISUOG's Basic Training Task Force attend the Basic Training summit in London in June. Over the two day meeting the Task Force finalised the theoretical and practical Basic Training curriculum. 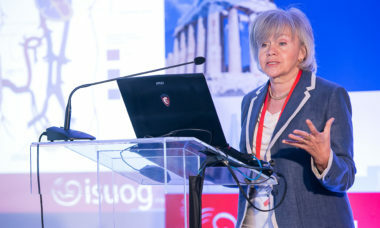 ISUOG's President Elect, Katia Bilardo, presents at the Basic Training course at ISUOG's Internation Symposium in Athens. 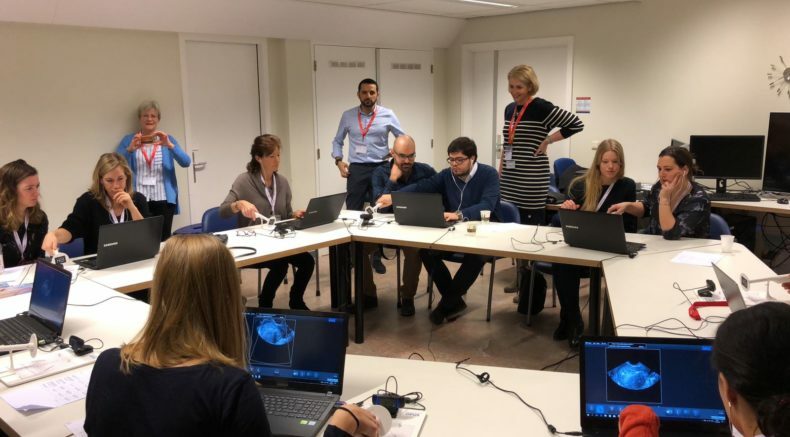 Delegates attend the simulation session on day two of our Basic Training course in gynecology, which took place at Erasmus MC in Rotterdam. 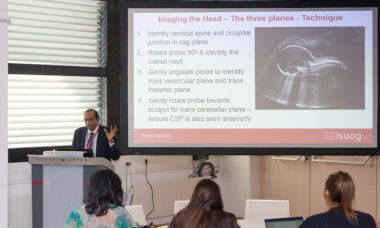 Titia Cohen-Overbeek, Trish Chudleigh and Reem Abu-Rustum, head of the Basic Training Task Force, presenting at the Basic Training course at ISUOG's 27th World Congress in Vienna. 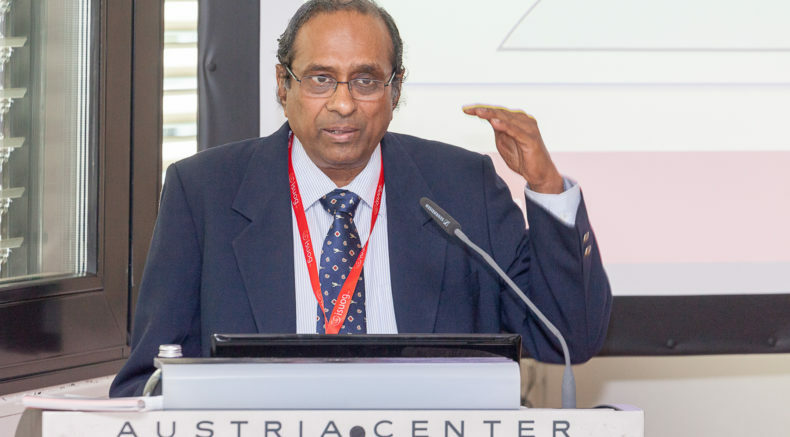 Dr Suresh Seshadri presents at the Basic Training course during the ISUOG's 27th World Congress in Vienna. 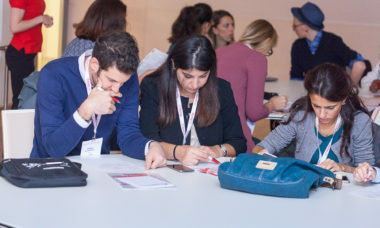 A delegate attends the simulation session, on day 2 of the Basic Training course at the 27th World Congress in Vienna.